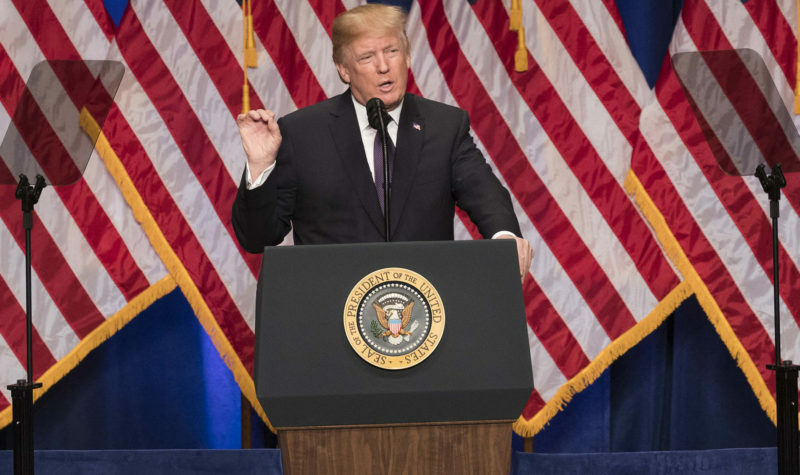 Last week, the Trump Administration released its National Security Strategy, a 55-page document intended to lay out the administration’s strategic interests, threats, and capabilities. Since the 1980’s, U.S. administrations have typically released such a strategy about once per four-year term. In releasing its NSS in December, the Trump Administration became the first to do so in its first year in office. Like the two NSSs previously released by the Obama administration, Trump’s NSS does in fact identify the United States’ strategic interests in the Arctic. In doing so, Trump became just the second U.S. president to include the Arctic in his NSS. However, President Trump’s NSS approaches the Arctic in a decidedly different manner than the Obama administration. “…we seek to build on the unprecedented international cooperation of the last few years, especially in the Arctic as well as in combating piracy off the Horn of Africa and drug smuggling in the Caribbean Sea…”. Finally, the 2015 NSS reiterated the impact of climate change in the Arctic and its impacts on Alaska communities. The document goes on to state that while these “multilateral arrangements” are important for maintaining rules and keeping common domains like the Arctic free and open, the Trump Administration will not allow these forums—like the Arctic Council—that govern such rules to impinge upon U.S. sovereignty. The Trump Administration has been largely quiet regarding the Arctic Council since the May 2017 Arctic Council summit in Fairbanks, Alaska when administration officials sought to alter the wording of the final resolution in order to soften its stance on climate change. Whether the NSS signals a shift in U.S. policy at the Arctic Council level remains to be seen. Second, the new NSS stresses the Trump policy of “Energy Dominance,” a more muscular version of “energy independence” that depends upon increasing domestic energy production. Although not stated in the NSS, the Energy Dominance policy likely includes increasing Alaska oil and gas production through efforts like tapping into ANWR.